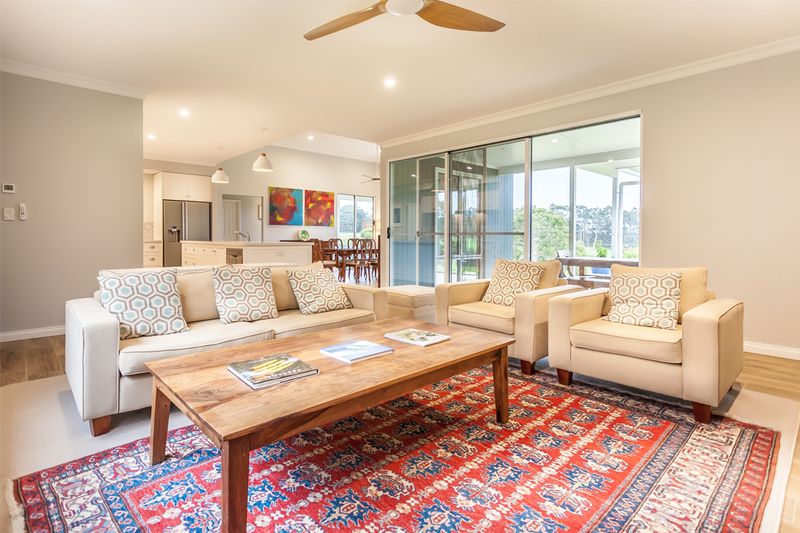 The core features of this outstanding family home, which was expertly constructed by Peter Lea from Tectonics Building Design, is its comfortable living area and its orientation, which welcomes abundant natural light and prevailing breezes. The home’s elevated outlook provides the owners with gorgeous panoramic valley views. Other standout features of the home include its clean lines and contemporary country look. The owners wanted the home to have a family-oriented design that would allow for natural movement, while being low maintenance. This design maximises space by incorporating distinct zones, while working with the contours of the land. Sloping clay sites always have inherent challenges. However, due to Lea’s expert knowledge of the site and understanding of local weather conditions, these obstacles were overcome with great finesse. 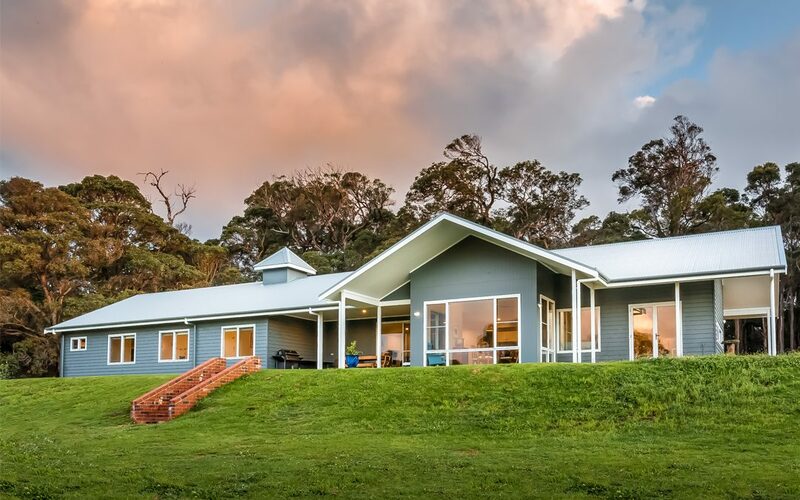 The eco-friendly home features a self-contained water-harvesting system and insulated concrete floors, with hydronic heating. The home also relies on passive solar design principles. Founded in 2006 by Lea and Warren Hillman, Tectonics Building Design specialises in individually designed residential projects that range from $200,000 to $2 million. It primarily services the South-West Capes region. 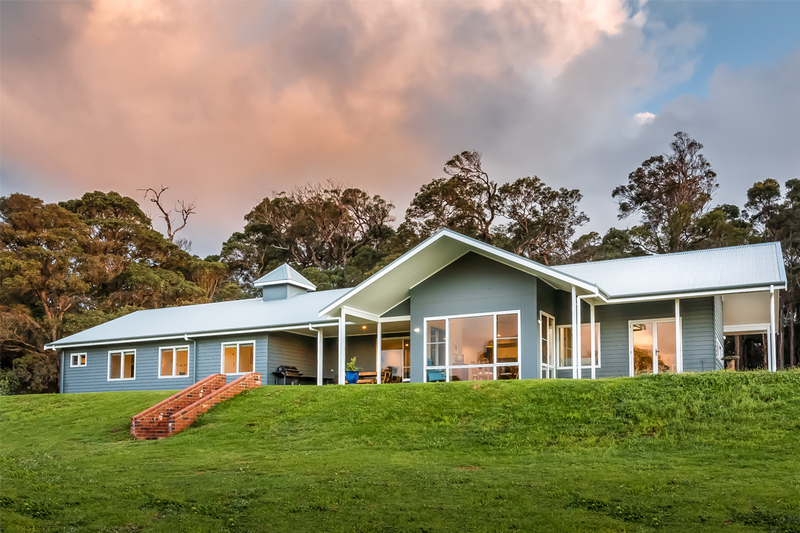 Tectonics Building Design has won multiple Housing Industry Association (HIA) awards during its time, including 2014 Framed House up to $350,000, 2014 Custom Built Home up to $700,000, and 2012 Affordable Project of the Year. A true ‘design-and-construct’ business, Tectonics Building Design undertakes each of its projects with a focus on design, and draws on its extensive construction knowledge to minimise unnecessary time wastage and difficulties. The company can complete renovations, additions and new builds for both the residential and commercial sectors. 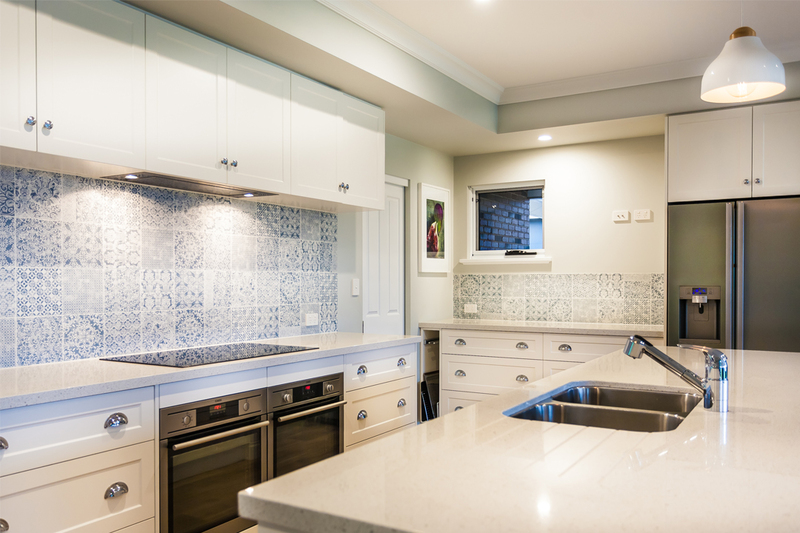 It can also assist with the construction of kitchens, and plan-rationalisation services. Each project is assessed for functionality, with changes recommended based on what the clients require. Further, the company provides a design and documentation service for builders and clients.